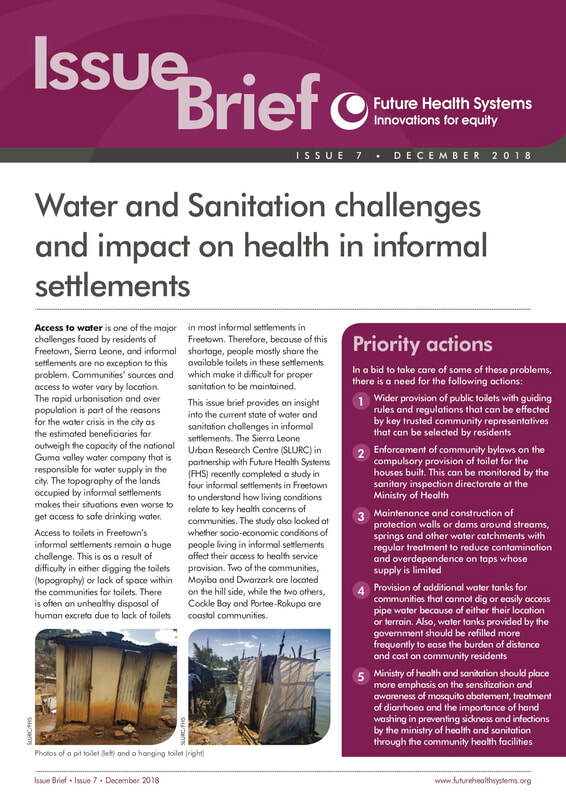 Treat physical improvements to informal settlements as a public health issue; prioritise service provision to such communities based on their specific needs; improve the accessibility and accountability of healthcare to ensure it meets informal settlement dwellers’ needs. 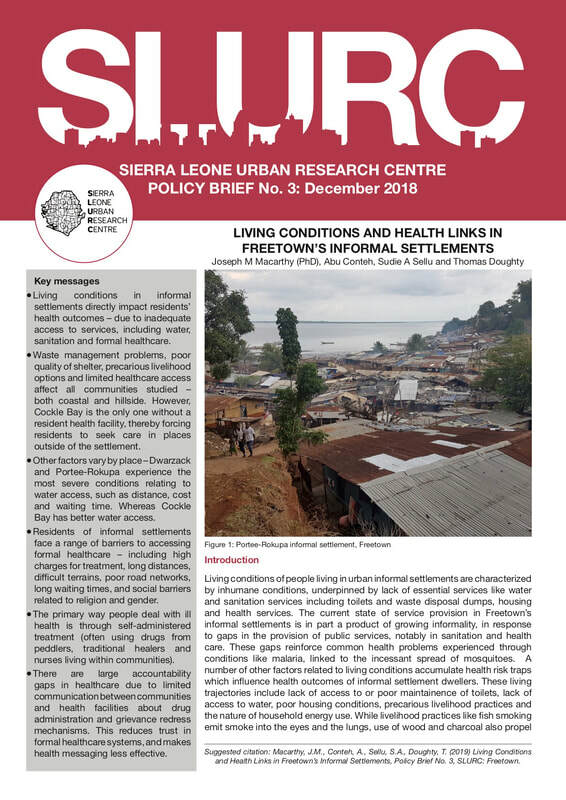 These are some of the key recommendations coming out of SLURC’s year-long research study in partnership with Future Health Systems (FHS), investigating how living conditions in four of Freetown’s informal settlements relate to the health concerns of their communities. 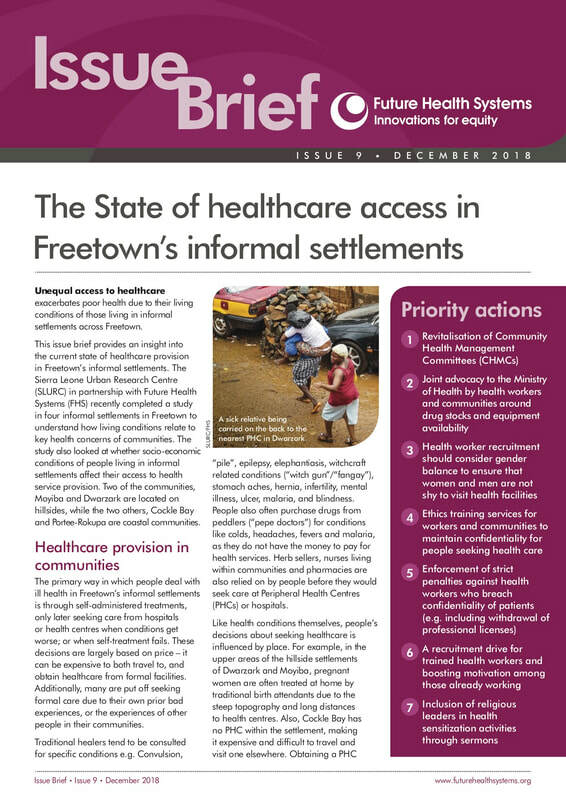 The project culminated today with a launch event at the Grassroots Empowerment Movement office in Freetown, bringing together community stakeholders, health professionals and policy makers. 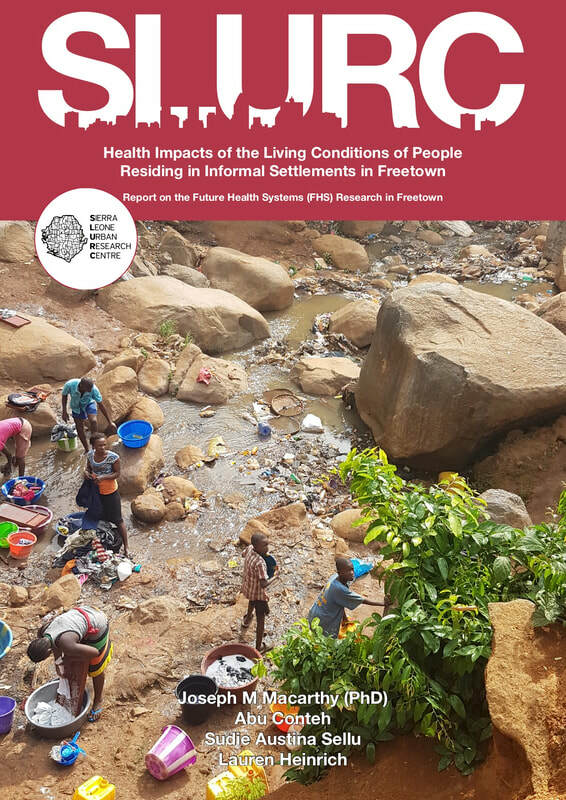 This was an opportunity to disseminate the findings, recommendations and publications to all those who contributed their time and experiences to the research, as well as a further platform for discussion of its implications. 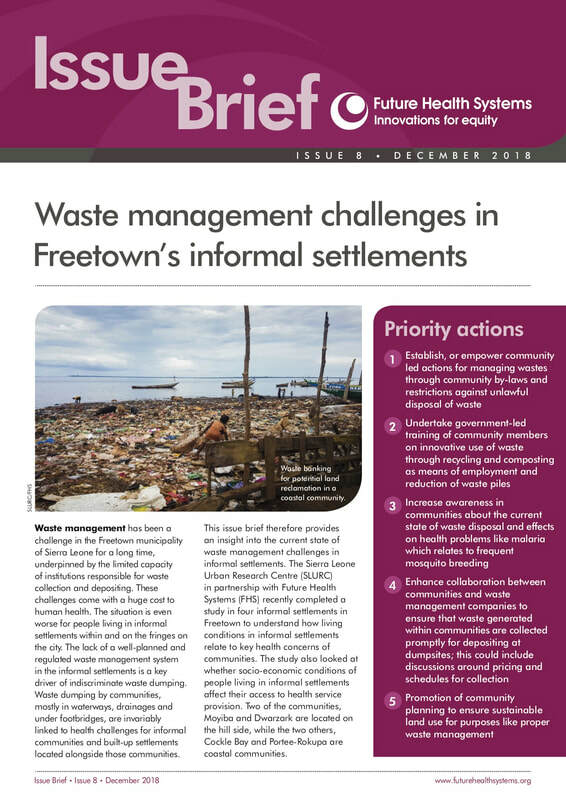 Three of the most pertinent issues that the research has uncovered – water and sanitation, waste management and the state of healthcare access – are summarised in three Issue Briefs, which each recommend priority actions for improvement. The Policy Brief summarises the research and its implications for policymakers seeking to improve policies based on the findings. Finally, there are two key reports which underpin the research. 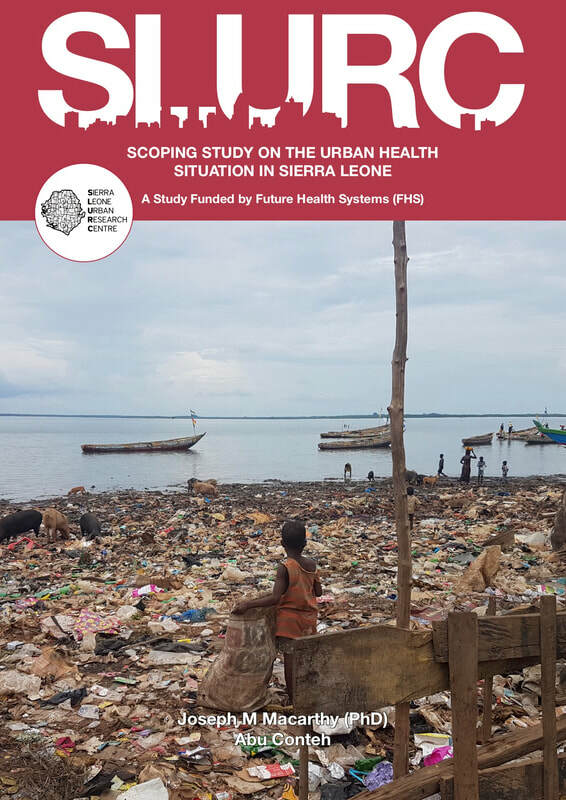 The Scoping Study identifies existing research on Sierra Leone urban health and establishes the gaps, as well as building the case for extensive stakeholder involvement in the research process. The Research Report covers the research project itself, from its objectives to lessons and recommendations. SLURC encourages the use of our published materials, with appropriate credit given to the published authors. All publications from this and other projects are also available via in the publications section of our website. For further information on this project, please contact Dr. Joseph M Macarthy, Executive Director of SLURC.